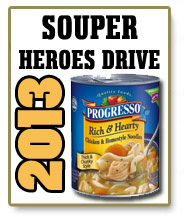 Souper Heroes Needs Your Help! Registration is now open for our Saturday, January 19th pack day. We'll be packing 800 care packages for Marines in Afghanistan this Jan 19, and among the things we want to include are two cans of ready-to-eat soup. Help us to reach our goal today! In this issue, we discuss our soup drive, present a video of Marines returning home from deployment, and release a partial list of 2013 Team Marine Parents events. If you know of an athletic event in your area that you would like to try, please let us know, and participate on behalf of our team! We have also included news of the death of the first woman brigadier general in the USMC, a story about a new USMC uniform directive taking effect this year, and an account on MFN about a recent PHHS dinner at Walter Reed in Bethesda. Finally, we preview the soon-to-occur ten year anniversary of the Marine Parents organization! Help our heroes battle cold weather overseas this season with ready-to-eat soup. 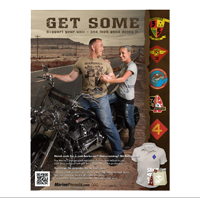 Donate a Rich and Hearty Chicken and Homestyle Noodle Progresso soup from the EGA Store, and we'll send it to our deployed Marines in our Care Packages on January 19, 2013. The pop-top soups are a convenient way for our men and women to get a warm, hearty meal. The 19 ounce cans don't require water, so they can simply be heated and eaten whenever the Marine needs it. The quality ingredients in Progresso will keep our heroes full and satisfied, while providing them with a little reminder of home. We are now almost three-quarters of the way to our goal, but we only have ten more days to go! For the first time, Marine Parents is a charity partner with the Marine Corps Marathon this year! 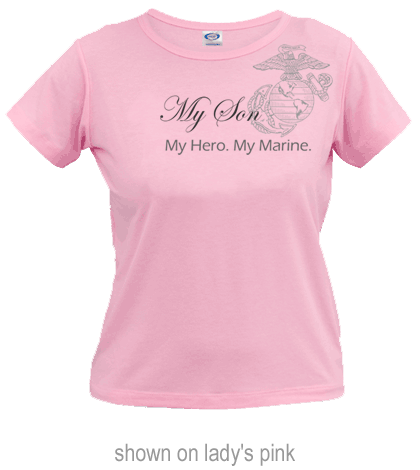 Typically, this event (to be held 10/27/2013) sells out within hours of registration opening, so we are excited to have reserved 25 entries for Team Marine Parents participants. Dirty Girl Mud Run, various locations, Women only! Marine Attack Squadron 211 and Marine Aviation Logistics Squadron 13 both recently returned to Marine Corps Air Station Yuma, Arizona from a six-month deployment in Afghanistan. Their return was an emotional one as all are, but especially so because of an attack at Camp Bastion last September. Sgt. Bradley Atwell of MALS 13 and Lt. Col. Christopher Raible, commanding officer of VMA-211, were both killed in the attack. Get ready to celebrate ten years! 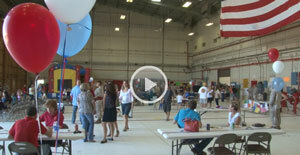 This month marks the tenth birthday of the Marine Parents organization! In our next newsletter, we will celebrate some of the many things we have accomplished in that time, with the help of people like you. We would like to give a sincere thank you to all of you who have contributed to our success in helping our troops and their families for the last decade! Purple Heart Hero Support volunteers served over 2,500 meals to wounded heroes and their families at the Walter Reed National Military Medical Center in Bethesda, MD in 2012. Each week throughout the year, PHHS volunteers take care of all the details required to deliver meals to hundreds of injured servicemen and their families as they recover in hospitals like WRNMMC. PHHS volunteers truly treasure the time they get to spend reminding our Wounded Warriors that they are appreciated and remembered. Retired USMC Brig. Gen. Margaret Brewer died January 2, 2013 at the age of 82. 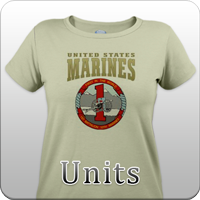 Brewer was the first woman to rise to the rank of brigadier general in the USMC, achieving that rank in 1978. Retiring in 1980, Brewer went on to have an active role with several charity organizations. In a statement, Commandant of the Marine Corps General James F. Amos said "Throughout her three decades of service to our Corps and country, she truly led from the front and helped the Marine Corps integrate women more fully into the force. She served during an era when many thought that women had no place in the Corps, but she proved critics wrong time and again." To begin the new year, Commandant Gen. Jim Amos has issued a new directive on the subject of new service uniform requirements. 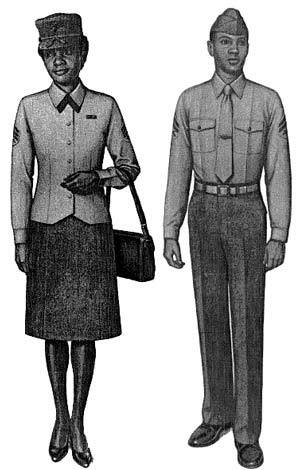 As a result, the uniform of the day on each Friday will be Service B during the winter months (left), and Service C during the summer months (right). The goal is to have all non-deployed Marines participate, although some exceptions will be allowed. The banner photo is a Marine Corps photo taken 12/11/2012 by Lance Cpl. D. J. Wu. Twentynine Palms, Calif - Marines from Company C, 1st Tank Battalion, prepare their tank for the day's attack on Range 210, during Steel Knight 13. Exercise Steel Knight is a combined arms live fire exercise and is 1st Marine Division's largest annual training exercise. 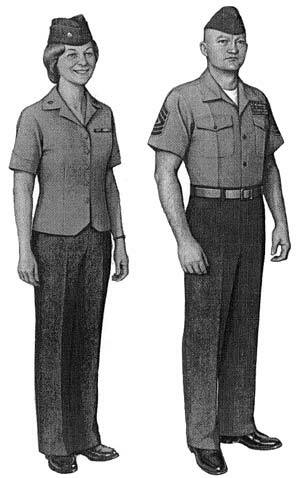 The Marine Uniforms figure is from MARINE CORPS UNIFORM REGULATONS, accessed via www.marines.mil.